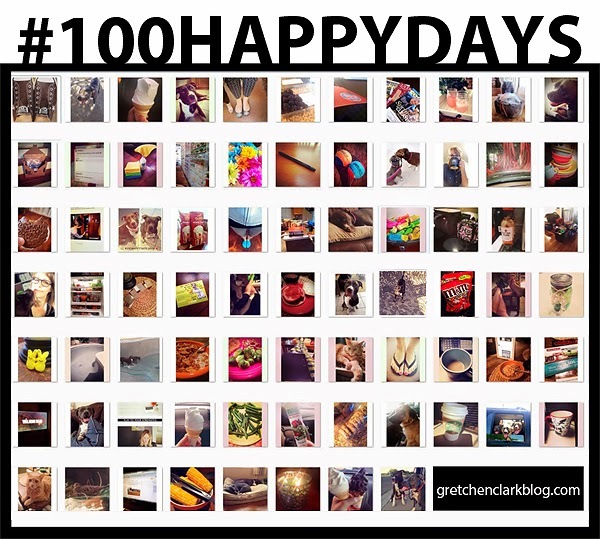 You may remember me talking about the #100HAPPYDAYS project, back in March. If not, you can read the post HERE. Well, Ashley and Jess decided to play along too (LOVE them!). Ashley and I were curious how much longer it was until we reached the 100th day. I had to go back to Instagram and count my hash-tagged photos. I could not believe I was 74 days in and have not missed a day *woot* Only 26 more days to go. If you didn't sign up yet, no worries!! You can start it at any time. My thoughts as this project is coming to an end...I love the fact that every day I have to think of something that makes me happy, even when I am not feeling happy. There is always something to be thankful for!! I think I will continue the project even past the 100 days, but I won't stress if I miss a day (I get pretty competitive with myself, LOL! ).